Congratulations to team Vellinga on winning the U18 Region 2! They will be travelling to New Liskard March 7-11 for the provincials where the winner will advance to the Nationals to be held in St Andrews New Brunswick April 9-14. 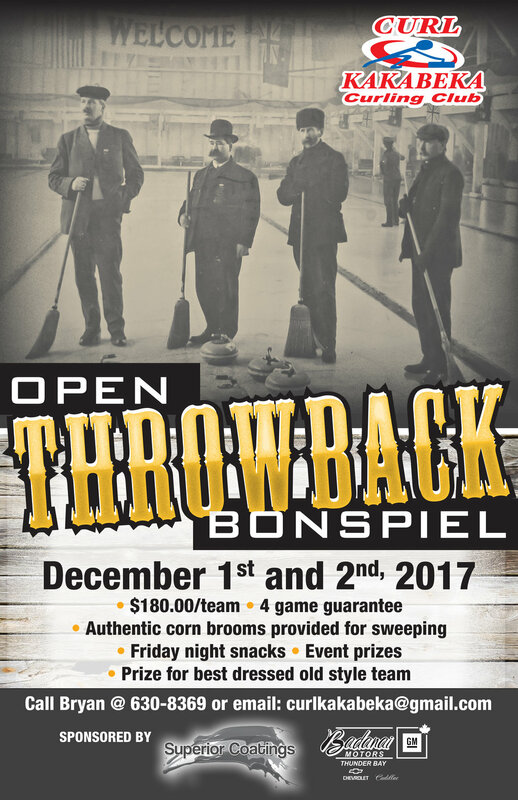 The 2017 - 2018 curling season is just around the corner. The first draw will be on October 11. Junior registration is on October 14 between 10am and 12pm. Learn to curl starts on October 24 and runs for 8 weeks. Hope to see you all on September 12 between 6:30 and 9:30 for this season's registration.